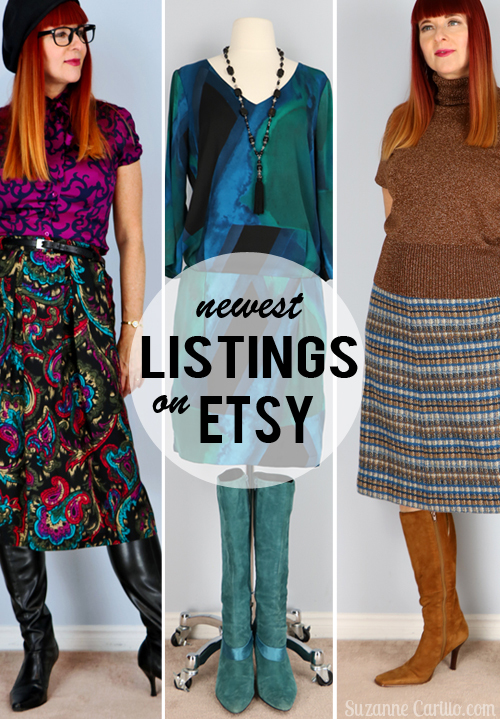 Here are some of the latest listings in my Etsy store, my Friday Fresh Vintage Picks. What a splendid selection of clothing, beautifully photographed and fabulously modelled. 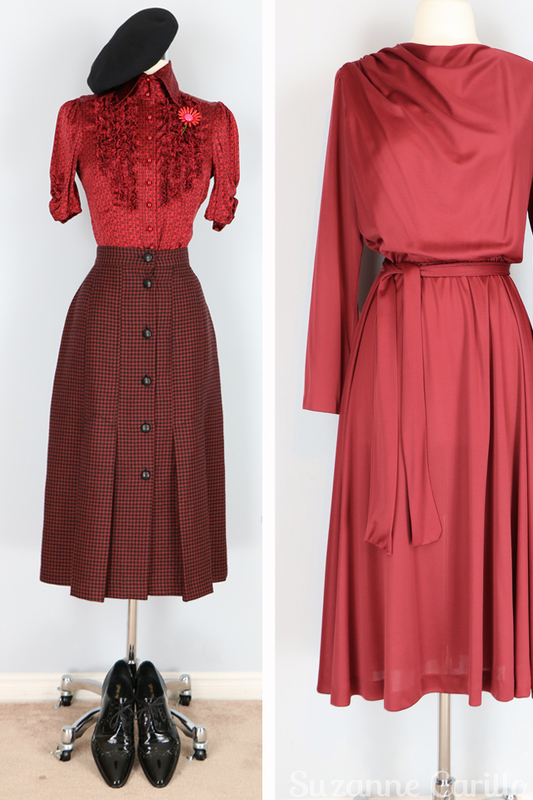 I’ve found that larger sizing when it comes to vintage is very rare. 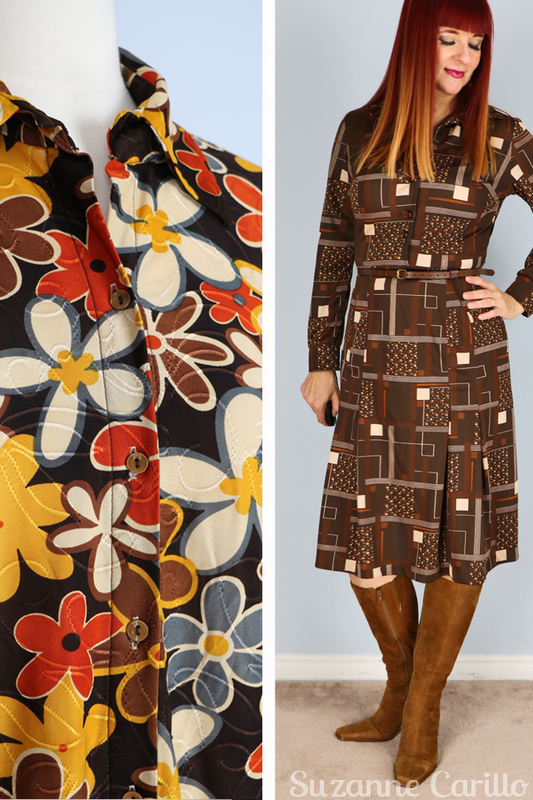 I love all of the items but I’m too big for most of them and the one that really caught my fancy was the 1970s graphic print shirt – which is too big! 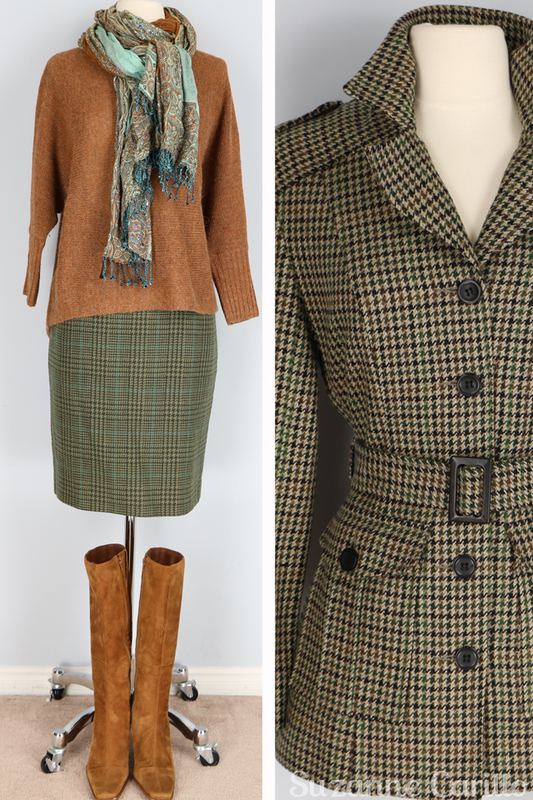 I love the rust dress and green sweater dress and the steam punk jacket is exquisite. I love how you photographed the garments and added accessories or other items to them – they all look very attractive and appealing. Where yo clothes for th’ fat people at? Will check out the store, but most of these lovelies not my size. 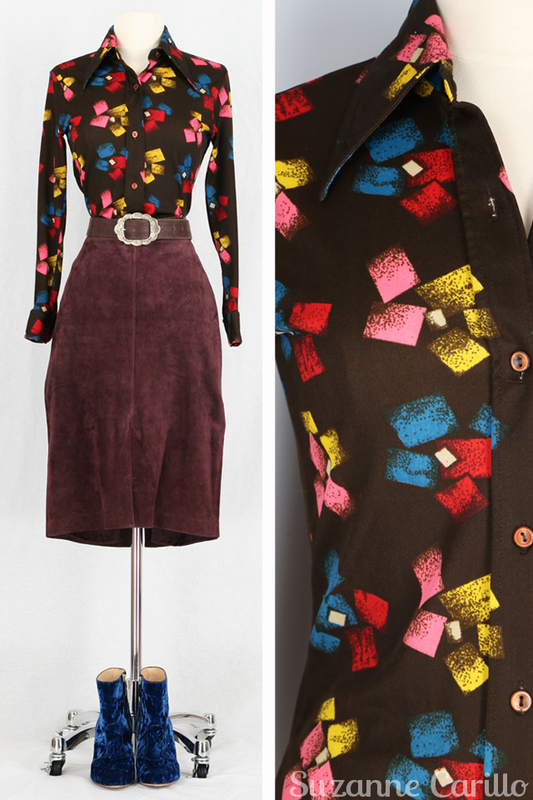 Oh my word, dear Suzanne, what for amazing items you have in your store now! 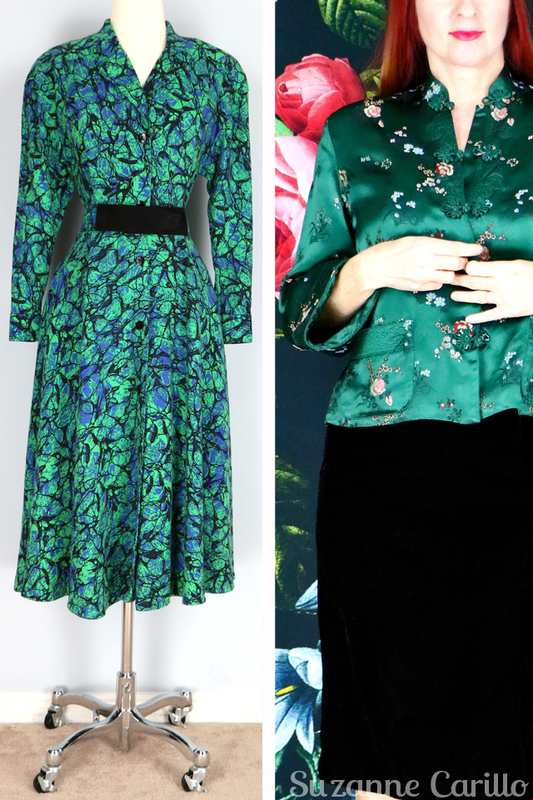 I simply loooved the green satin kimono and so many other items – the Victorian jacket and the boucle one, wow! You look really amazing! I know that in the past people used to be thinner, so size small is not for me 🙁 But I can admire the pieces, they are so fantastic, so stylish! I wish you a great Christmas with lots of fun and joy, may you have a fantastic time! That brown shirt with the bright colours is my favourite. 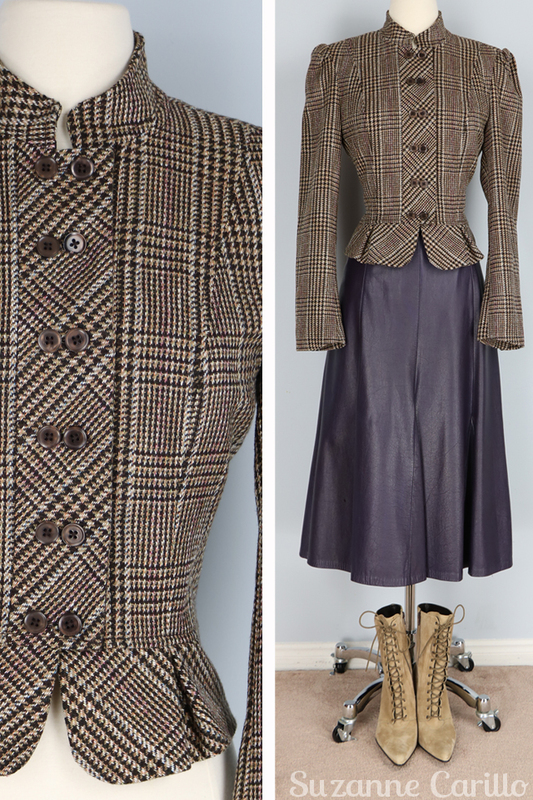 However waist 30″.. and SOLD. Oh well. You have awesome goods Suzanne.